There were a few changes to the expo this year. First bib pick up was a bit different. 5K and 10K runners picked their bibs up outside around Champion Stadium. Half Marathon, Full Marathon, and Goofy participants picked up their bibs inside the Visa Center (formerly Josten’s Center). Dopey participants picked up their bibs in the HP field house. 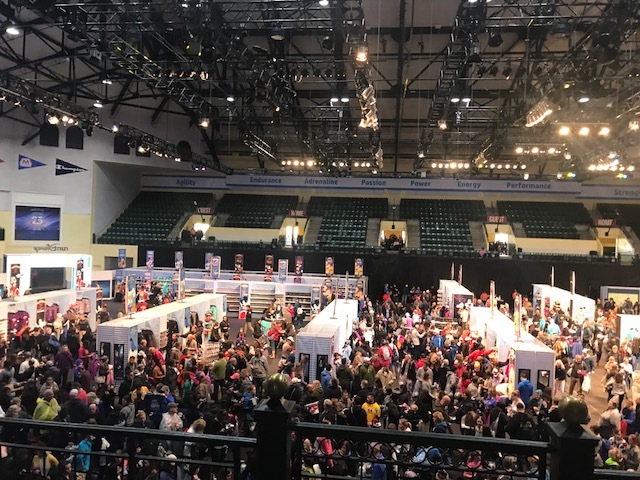 All runDisney official merchandise was set up in the HP field house as well. 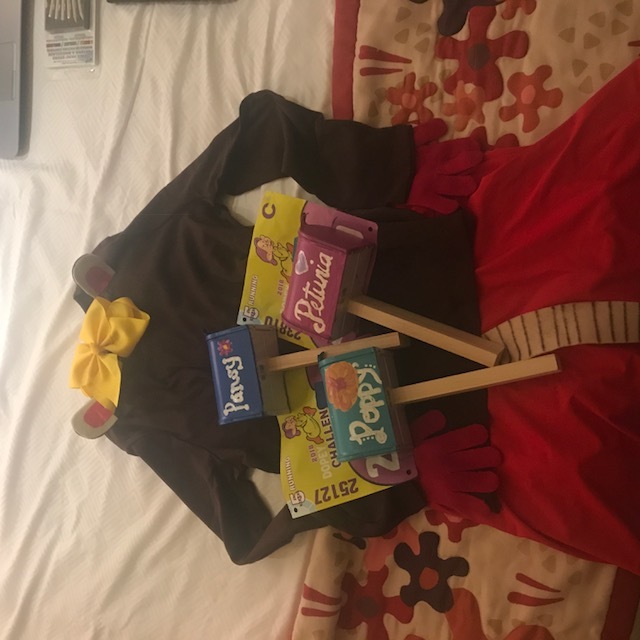 However, those thinking that they would be able to pick up their Dopey Bibs then head directly downstairs for merchandise were sadly misinformed. There were two different entrances and exits for both. Opening day of the expo there were incredibly long lines for both Dopey bib pick up and official merchandise. 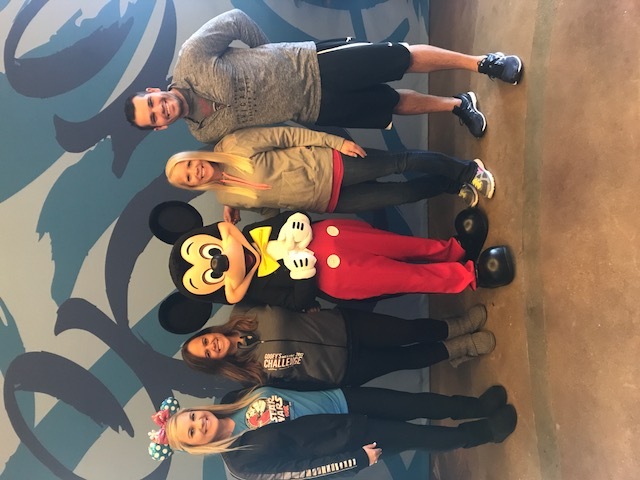 Highlight of bib pick up was that Mickey Mouse was on the way out to stop for a quick pic! As far as merchandise goes they did a great job of restocking it during the first day of the expo. We went at expo open and heard that there were very few things that were sold out by the end of the day. We did hear that the merchandise line was very long all day the first day. I’m glad I was able to score some pretty sweet Dopey gear even though I had to wait in a half hour line to checkout. The only real change to the 5K was that the start time changed from 6:00AM to 5:30AM. There was also new pavement on the course heading out the parking lot. Always nice to run on a new flat surface. 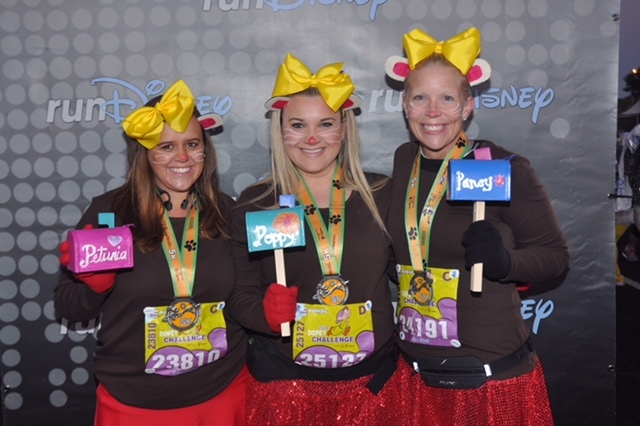 Ashley, Helene, and I ran as Poppy, Pansy, and Petunia. Who are they you ask? They are the possums from Splash Mountain. We were very excited anytime someone recognized who we were. However with the cold temps we looked like Glad Trashbags for the beginning of the race. 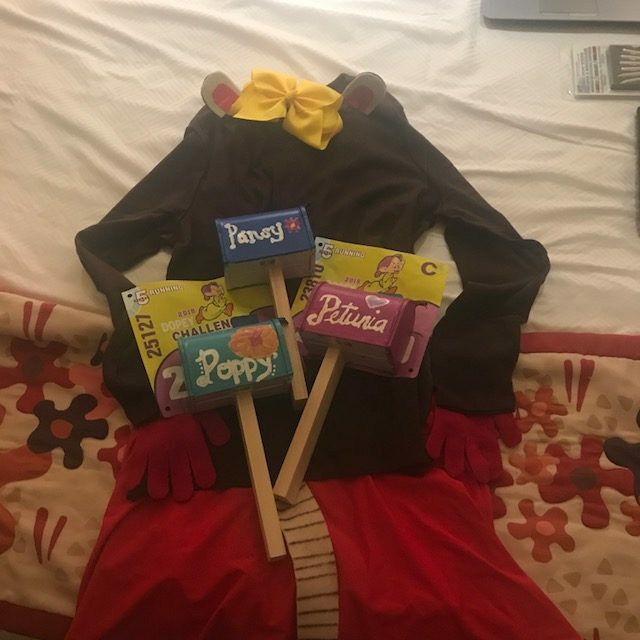 We wore long sleeve brown shirts, red running skirts, leggings, big yellow bows, possum ears, possum tails, and carried mailboxes that we replicated from the ride. 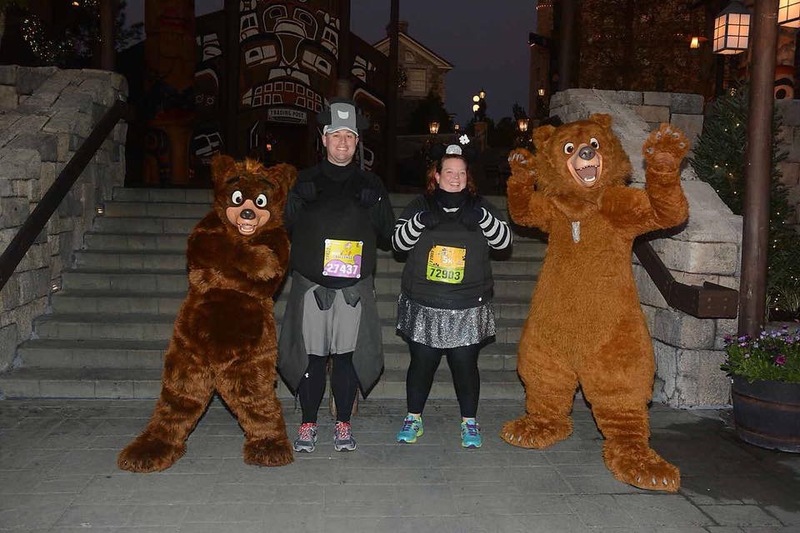 We ran this race with some of our favorite Casual Runners, Laura and Jason, who dressed as Steamboat Mickey and Steamboat Minnie. 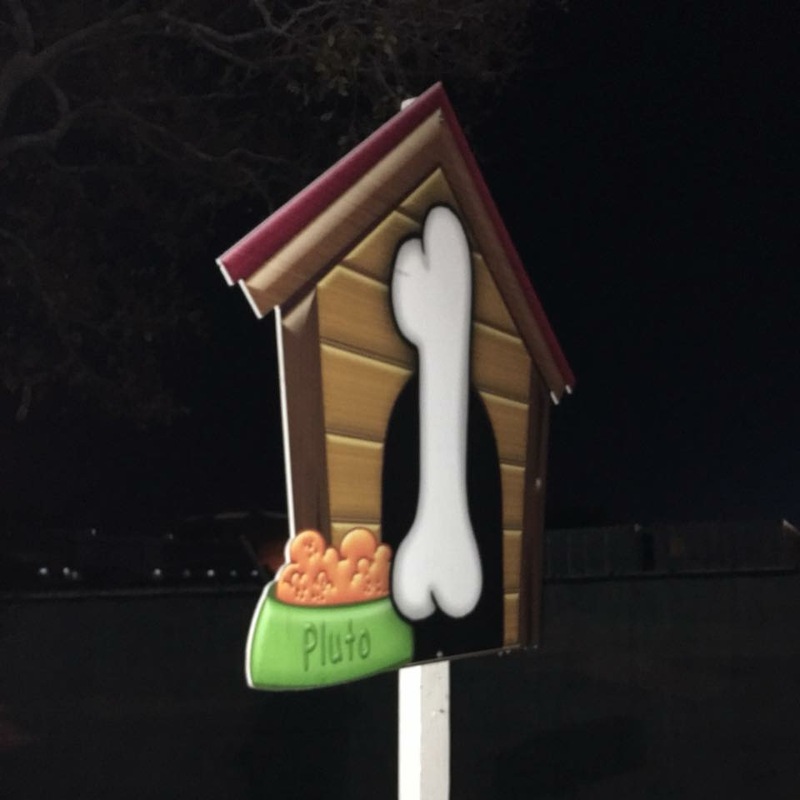 For this race all mile markers were of Pluto’s Dog House and the mile number written in dog bones. The first character was right around the mile one marker, which if you stopped you were in luck because you didn’t get just one character you got two…. Chip and Dale! The next character stop was as you entered Epcot in Norway and you came upon the Vikings. Next up in Italy was Jiminy Cricket in Italy followed by Vacation Genie in Morocco. Next up was Kenai and Koda from Little Bear in Canada. The last character was outside of The Land Pavilion, Hoarce Horsecollar. 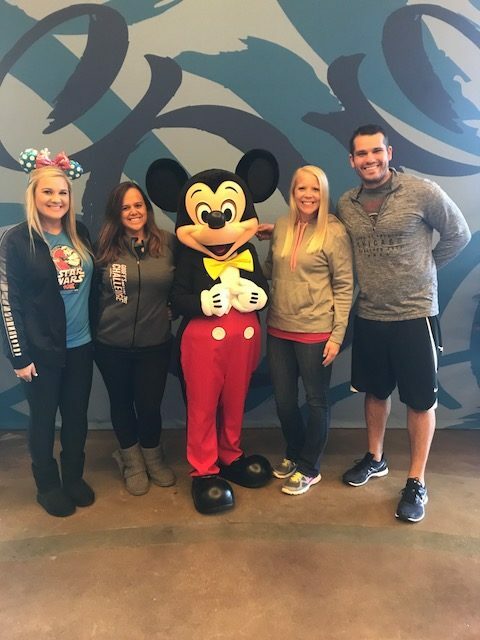 Before and after the race you were also able to get character photos with Pluto, Donald, Goofy, Mickey, Minnie, and Dopey. 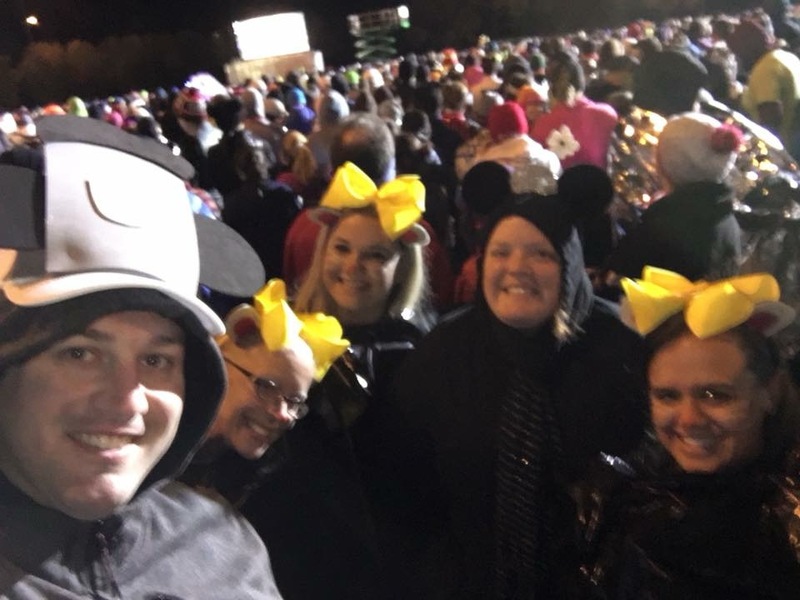 We decided it was too cold to stop for any characters during this race, but Laura and Jason did a great job of getting them all! The shirt for this race was a lime green unisex cotton t-shirt. It featured Mikey and his best friend Pluto! The medal was Mickey and Pluto on a yellow background with a glittery 5K embossed on it. The ribbon was yellow with a green border and paw prints. So cute! 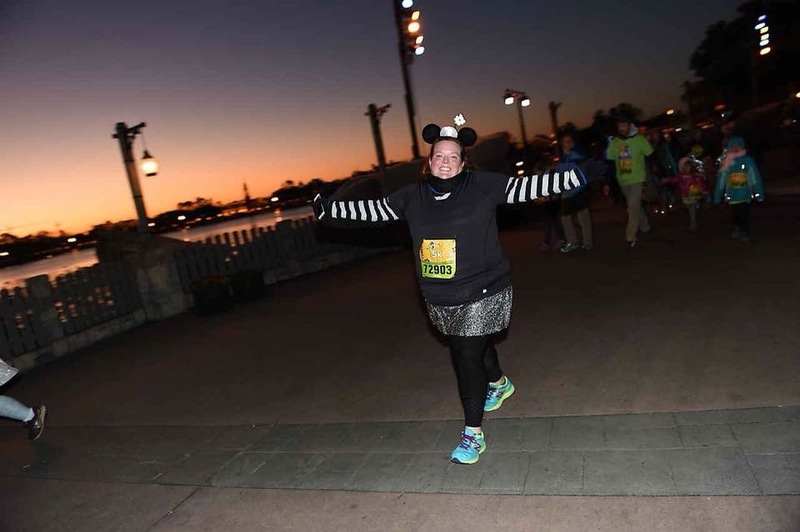 Keep checking back for the highlights from the Walt Disney World 10K tomorrow. The Half Marathon and Full Marathon highlights will come next week. 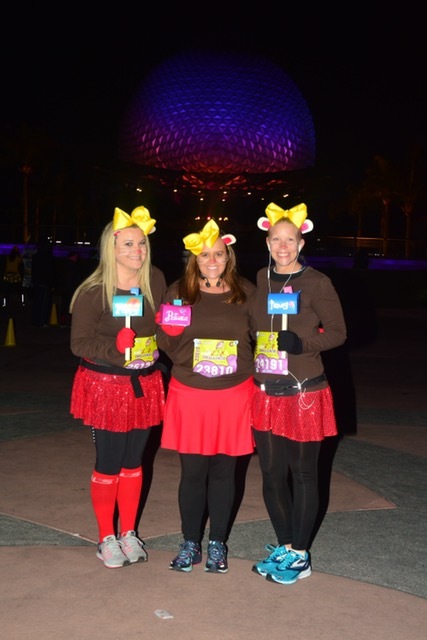 In the meantime check out all of our Walt Disney World Marathon Coverage from previous years.